Israel is an apartheid state with over 50 laws on the books that sanction discrimination against the Palestinian people [sic]. Palestinian homes and land are routinely bulldozed to make way for illegal Israeli settlements [sic]. Israeli soldiers also regularly arrest and detain Palestinians as young as 4 years old without due process [sic]. Everyday, Palestinians are forced to walk through military checkpoints along the US-funded apartheid wall [sic]. None of the accusations above is backed up with evidence, and none is true. The statement also omits any mention of terror, which claimed hundreds of innocent Israeli lives each year until Israel built a security barrier along and within much of the West Bank. To achieve that goal, the platform advocates “divestment campaigns” on the federal level; fighting state legislation against the anti-Israel “boycott, divestment, sanctions” (BDS) movement; and holding “direct actions of solidarity” at the local level to promote opposition to Israel. Jewish community groups have already begun to denounce the Black Lives Matter platform. 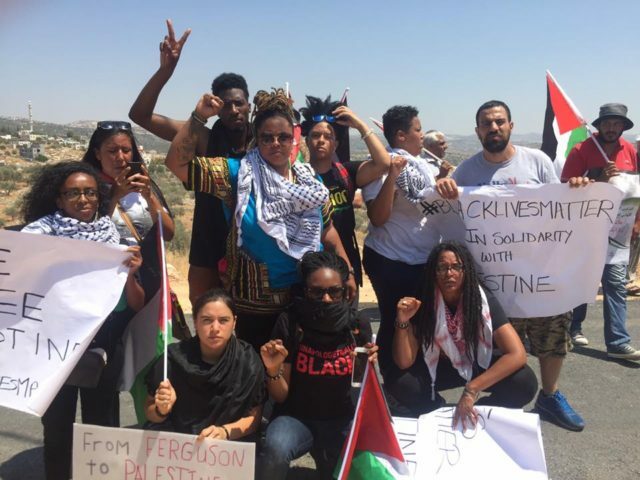 The Jewish Community Relations Council of Boston, for example, has announced that it “cannot and will not align ourselves with organizations that falsely and maliciously assert that Israel is committing ‘genocide.’ … We remind our community that the posture on Israel expressed in this platform does not reflect or represent the views of many in the African-American community …”.